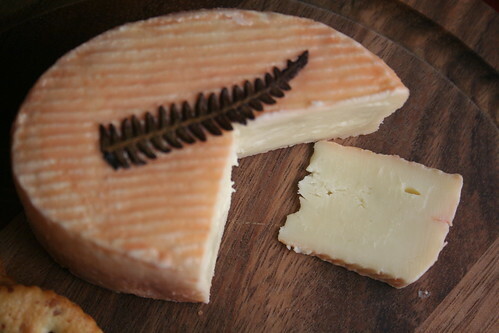 Amarelo da Beira Baixa has been one of the more elusive cheeses on the “100 Great Cheeses” list. 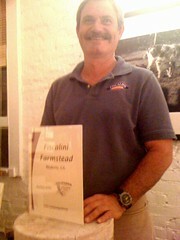 Unfortunately, Portuguese cheeses are hard to come by here in the DC area, and we didn’t spot this one on our cheese tour of NYC this past summer either. It was listed on Artisanal’s website, but hadn’t been in stock on previous searches. When I checked two months ago it appeared available to order, so I did — only to get a phone call that it was on back order. I declined the option to replace it with another cheese and waited … and waited … and waited. Finally I got the call that it had arrived and would be shipping out. 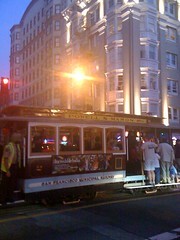 And I have to say it was worth the wait. Amarelo is a D.O.P. cheese from central Portugal. 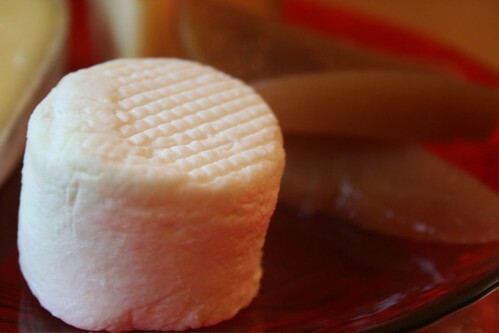 A raw sheep/goat milk blend, it has a firm, spongy paste that softens to a spreadable consistency as it warms to room temperature. 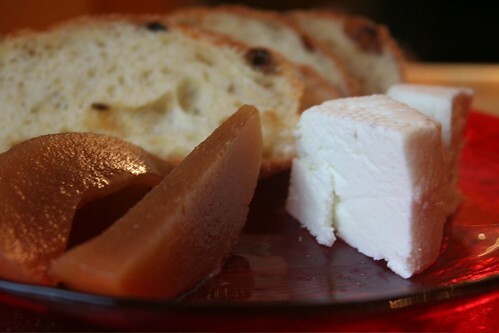 It has the sour, yeasty taste of a washed rind but still preserves that fresh goats-milk flavor at the same time. It is lighter than I expected, as the goats’ milk cuts some of the traditional oiliness of sheeps-milk cheese, but still delightfully creamy and full-flavored. 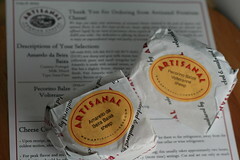 Artisanal suggests pairing Amarelo with Pinot Noir, which sounds heavenly. 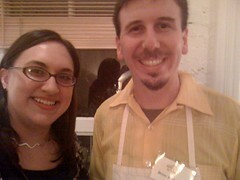 I can only hope Amarelo will still be in stock when I can drink wine again! 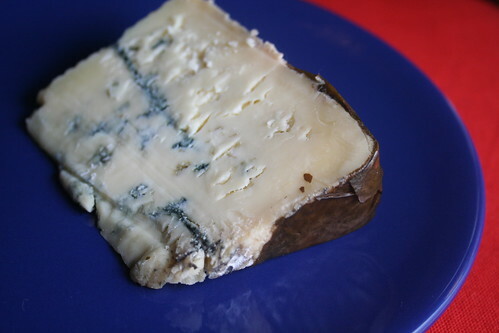 First up, Caruchon, made by Papillon, the renowned Roquefort producers in central France. This is a brined cheese with a colorful red specked rind that made me anticipate a more pungent flavor than we found upon tasting. 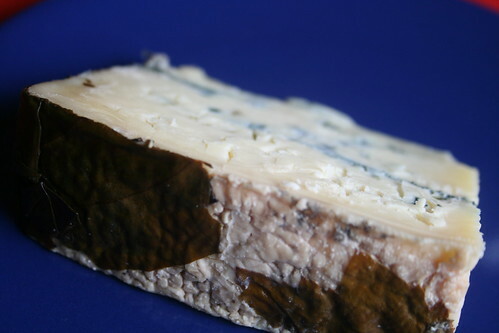 At first glance you might mistake its dense, golden paste for Pont L’Eveque, though as Jill discovered a few months ago, Pont L’Eveque packs a much more pungent fragrance. 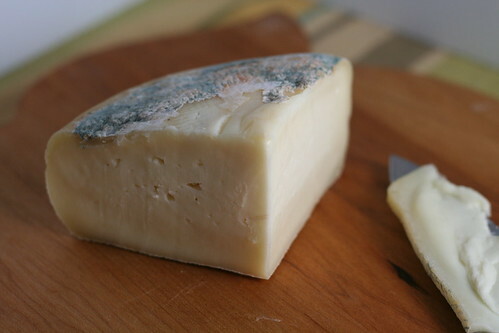 Like Roquefort, Caruchon is a sheeps-milk cheese (though pasteurized), with the familiar oily mouthfeel and slightly sweet flavor that is reminiscent of a manchego. 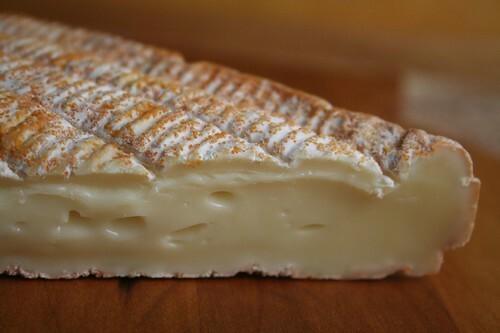 Caruchon does possess a distinctive sheepy aroma, and the crisp rind is more mild than you might expect from a washed-rind cheese, notable more for its texture than its flavor. The paste likewise is mild, pleasantly rich and tasting of pure sheeps-milk. 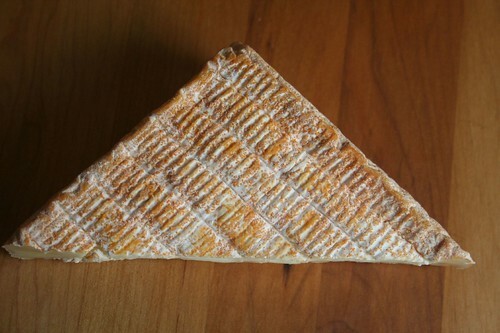 It’s a delightful cheese that might be a good gateway to washed-rind cheeses for your more skeptical friends. 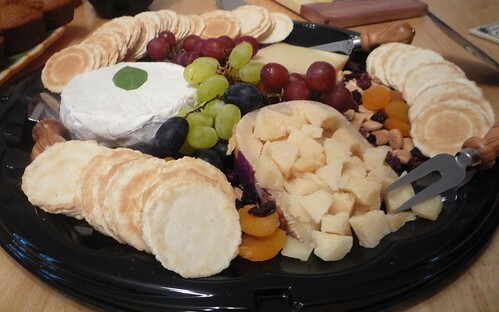 It certainly wouldn’t frighten anyone away from the cheese board. I’d probably pair this with a light, fruity red wine, but didn’t have a chance to test that this time around. 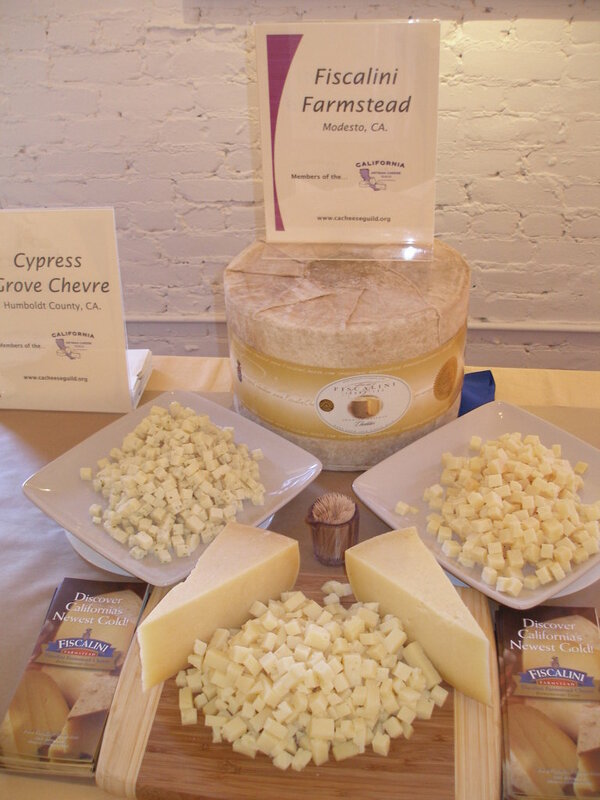 Happy #CheeseSunday from Cheese + Champagne! For the inaugural #cheesesunday, a Twitter event organized by one of our favorite cheese geeks, @CurdNerd, what better post to share than our Thanksgiving post — just a few of the many ways we are thankful for cheese. 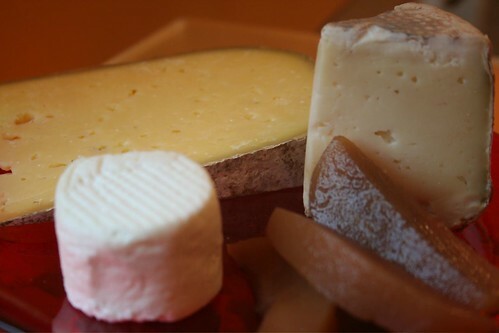 What do you love about cheese? Please share in the comments — or over on Twitter. Cheers! We are thankful for cheese. What would this world be without cheese? Boring and less delicious. We’re lucky to be passionate about a food that offers so much variety and excitement that there is no end to the amount of tasting and talking we could do on the subject. Yes, we might have lower cholesterol levels or be a few pounds lighter, but what fun would that be? I guess it’s Old Europe week here on C+C, a brief interlude from our normal fall fare of cheddar, cheddar, and um, cheddar. Oh, and gouda. And washed rind stinkers. Okay, we love it all and we’ll eat it no matter the season. Today’s cheese was actually handed to me as I browsed in Whole Foods* last weekend. Thanks to the wonder of AT&T wireless coverage, I can’t use my iPhone in the store to access my handy “cheeses unsampled” list while I shop, so I didn’t even realize until I left the store that this was, in fact, one of the ones left on our list. A second trip to the store later, and I brought home this cute little package of tangy French goodness. *I don’t know if there’s a connection, but it seems that cheeses Janet Fletcher writes about find their way into Whole Foods soon thereafter. 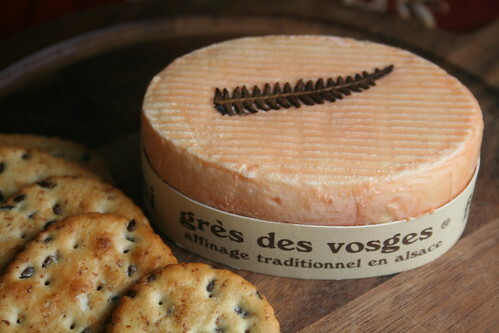 First there was Quadrello di bufala, now Grès des Vosges.